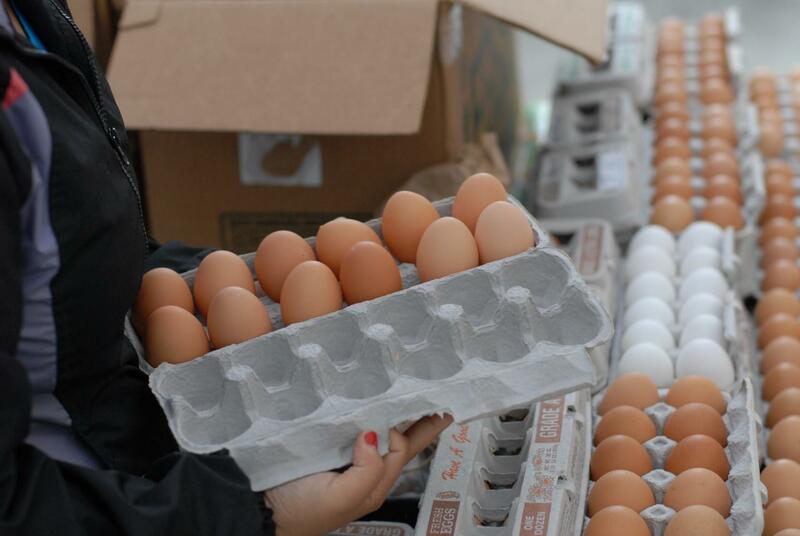 Food Policy Action is an advocacy group that seeks to hold legislators nationwide accountable on votes that impact our food system, on issues ranging from farm labor, nutrition, production and farming, additives, to environmental impact. We thought our readers would be interested to know how their New York State Senators and Representatives voted this year. Seven neighborhoods have begun a community rezoning process. Here we compare these communities using data from the NYC Department of Health’s 2015 Community Health Profiles. How can zoning shape our local food environments to improve our health? 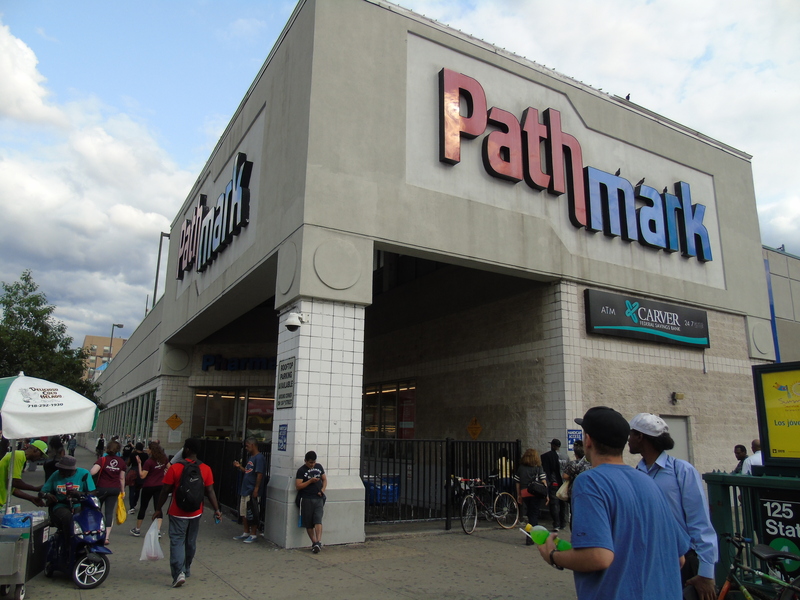 The recent sale of the building that houses Pathmark at 125th street and Lexington Avenue has raised concerns about the future of food access to the residents of East Harlem. Here we highlight some recent numbers from our report, Beyond Pathmark? 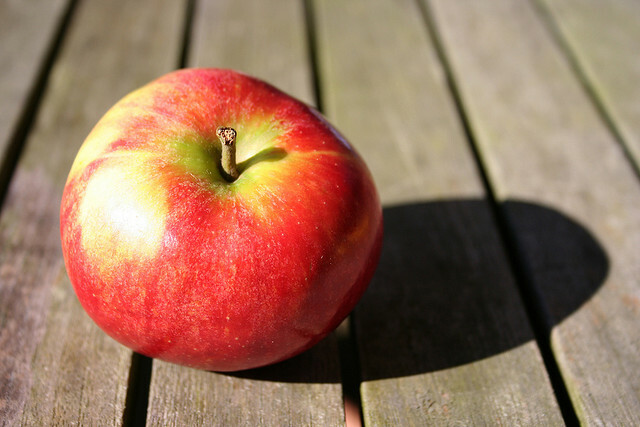 New York State produced 1.3 billion pounds of apples in 2014, ranking second in the country after Washington State- and New Yorkers are eating more local apples than they realize. Summer meals are available to all children ages 18 and under, free of charge, at many locations across the city including schools, community pools, NYCHA complexes, libraries, community centers and day camps when school is not in session. With the 2015 season now in full swing, we provide here an overview of summer meals statistics and trends. 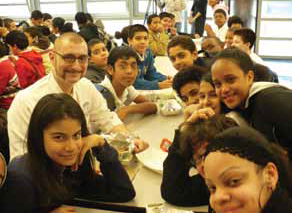 Our March 2014 “NYC Food by the Numbers” focused on Lunch 4 Learning, a campaign for universal free school lunched in NYC. Free school lunches were listed as a priority for last year’s city budget by the City Council. 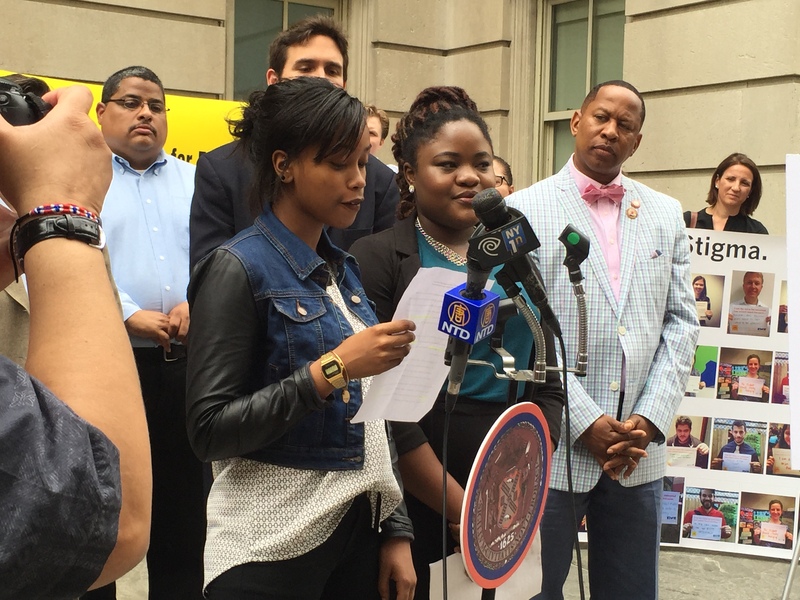 However, the program piloted only in stand-alone NYC middle schools. This year, the program has not been included in the City Council’s budget as well, which is due to take effect on July 1, 2015. As the date fast approaches, we present fresh statistics on how the universal school lunches in middle schools have fared so far, and what the implications of <0.03% of the City Council’s budget could look like for food security amongst NYC school children. 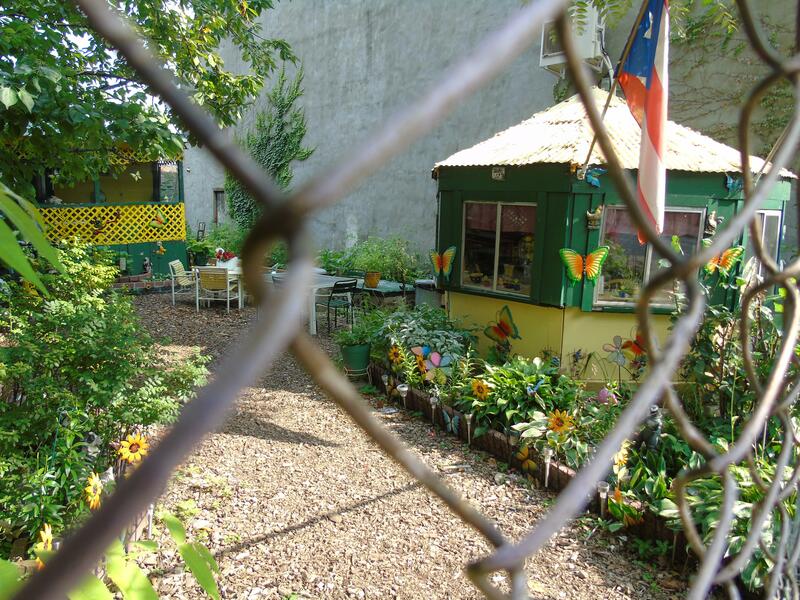 Even before the Department of Housing Prevention and Development released a request for bids to develop affordable housing on land that included 17 community gardens, urban agriculture has been a hotly debated subject in NYC among advocates of the power of community gardens and urban farms, and those who support the development of affordable housing. Here we provide an overview of the urban agricultural landscape of NYC, highlighting numbers from Manhattan Borough President Gale Brewer’s recent report How Our Gardens Grow: Strategies for Expanding Urban Agriculture as well as a other NYC publications including the 2014 Food Metrics Report and OneNYC. 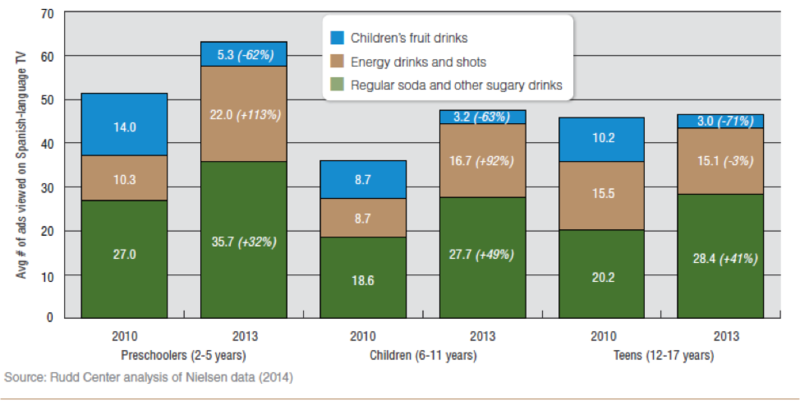 Beverage marketing directed towards children and youth is of growing public health concern. Most of the marketed beverages are high in sugar content, and on average, higher in calories than those marketed to adults.1 In 2013, food and beverage companies spent more than $800 million for marketing sugary beverages (table 1), and U.S. households consumed $14.3 billion worth these products. Despite the mounting pressure of sugar-sweetened beverages to influence preferences in children and youth nationally, rates of sugary drink consumption in NYC high school students are declining. Agriculture is a critical component of New York State’s economy. 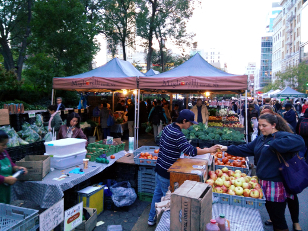 The food grown in the state provides many benefits to residents of New York City including employment, tax revenue, access to fresh and local food, open space preservation, farmers markets and tourism. A recent publication from NYS Comptroller Thomas P. DiNapoli, The Importance of Agriculture to the New York State Economy, summarizes statewide data from the 2012 USDA Census of Agriculture. Here we highlight some key numbers related to food jobs, economic growth and impact, agricultural commodities and urban agriculture. 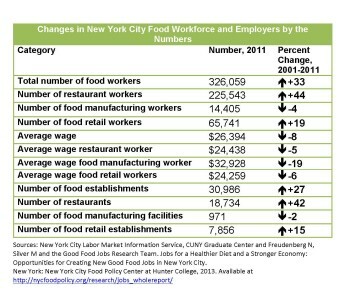 The fast food industry represents a significant segment of New York City’s food workforce. Here we provide some local and national statistics on fast food establishments and their workers. 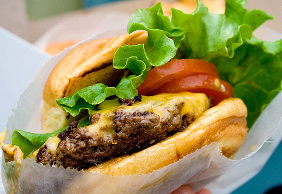 Can you guess the largest fast food chain in NYC? Hint: it’s not McDonalds! 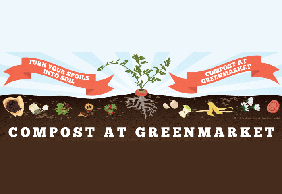 • Mayor’s Food Waste Challenge: With a goal of reducing landfilled food waste by 50%, Mayor Bloomberg invited New York City Restaurants to participate in the Mayor’s Food Waste Challenge. Learn more about the structure and benefits of the Food Waste Challenge. New Yorkers’ participation in the federal Supplemental Nutrition Assistance Program (SNAP), formerly known as Food Stamps, increased 71.1% between June, 2006, before the recession, and June, 2013. This long term upward trend has finally reversed. Across-the-board benefit cuts that took effect in November, 2013 reduced the average grant per household, and increases in employment made some previous participants ineligible. We provide some figures to help clarify. In many cities, food trucks have become an important part of the food scene. 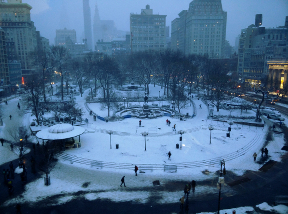 What’s the story in New York City? Number of licenses NYC Department of Health issues for food trucks and carts: 5,100 mobile-food-vending permits, which include trucks and food carts; just 500 belong to food-truck operators. Some numbers illustrate the breadth and magnitude of our complex food system here in New York City and beyond. 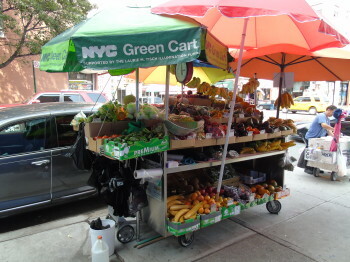 Columbia University’s School of International and Public Affairs (SIPA) released a report based on a study conducted to analyze the NYC Green Cart Initiative, its effects on fresh fruit and vegetable access for low-income New Yorkers, the sustainability of Green Carts as independent businesses and as a case study for how philanthropy can play a role in the support and promotion of innovative public policy. We highlight below some key findings, by the numbers. In order to create healthier local food environments, public officials, advocates and community residents need detailed information on current conditions. To help develop that understanding, we summarize data on food environments in East Harlem. In 2010, 122,920 people lived in East Harlem, of whom 50% are Hispanic, 32% African-American, 11.5% white, and 5.5% Asian. Just under 30% of the population had incomes below the poverty line, making East Harlem the 13th poorest of New York City’s 59 community districts. 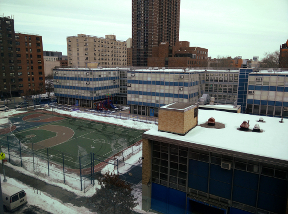 In 2012, 44.2% of East Harlem children lived in poverty. Of the 41,504 households in East Harlem, 69% reported earning some income in 2013 and 28% reported they received SNAP benefits. Each system for counting food establishments yields different numbers, mostly because of different definitions. A Google search for retail food establishment shows 103 in East Harlem, of which 65% are groceries, 12% delis, 11% supermarkets, 6% produce stores and 7% some other kind of outlet. The New York State Department of Agriculture and Markets lists 204 food retail establishments with active licenses in East Harlem A 2007 survey of all stores selling food in East Harlem by the New York City Department of Health found 263 establishments, of which 66% were bodegas, 13% specialty stores, 8% supermarkets, 7% convenience stores and 6% drugstores. 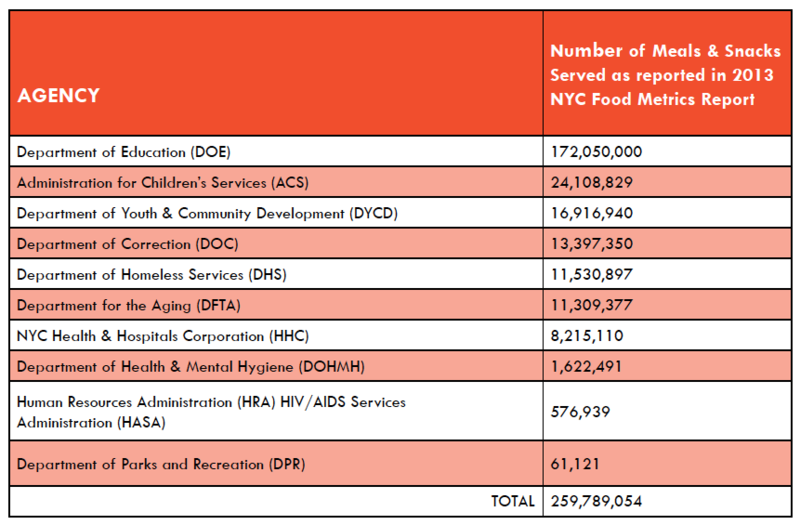 Of the 177 restaurants that the health department located in east Harlem, 27 were fast food stores. A more recent (2011) study of 2 census tracks (182 and 188) in East Harlem by the Cornell Cooperative Extension Service found 138 sources of food (including soup kitchens and community gardens) of which 39% were take-out or formula fast food, 21% were bodegas, 12% were street vendors, 10% were convenience stores or drug stores that sold food, 8% were specialty markets and 10% were some other category, including 2% supermarkets. Community Board 11 estimates that East Harlem residents spent about $340 million on food each year, the largest spending category in the district. 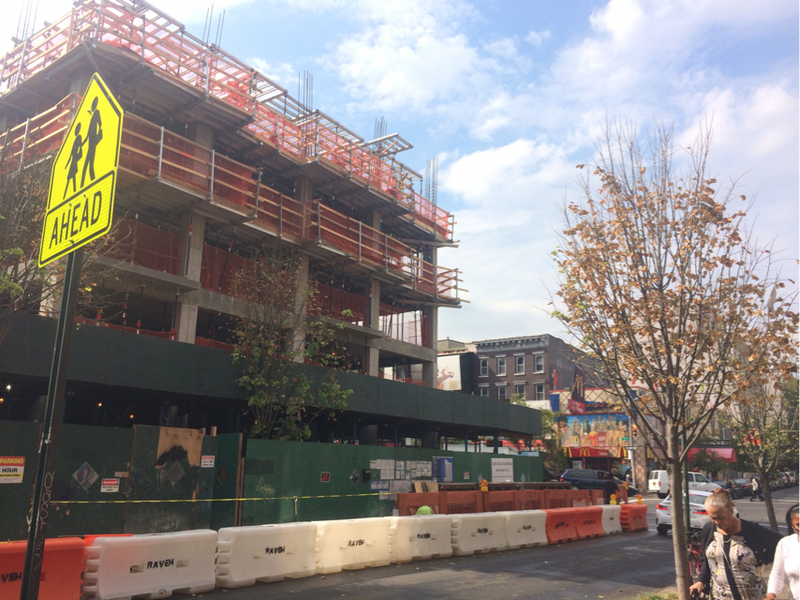 Of this about $90 million is spent in East Harlem. Based on data provided by USDA, we estimate that 11,629 households in East Harlem spent a total of $38.2 million dollars in SNAP benefits in 2013. In 2011, the child obesity rate in East Harlem was 23.4%, the 13the highest in the city’s 59 districts. In 2004, the average annual death rate for people under the age of 75 in East Harlem was the second highest in New York City, higher than in 41 of the 42 health districts. Heart disease, cancer and diabetes, all conditions related in part to diet, accounted for 35% of the years of potential life lost in East Harlem in the years 2002-2004. According to East Harlem’s Community Board 11, heart disease hospitalization rates in East Harlem were 45% higher than the NYC average. About 31% of adults in East Harlem are obese compared to a NYC average of 20%. 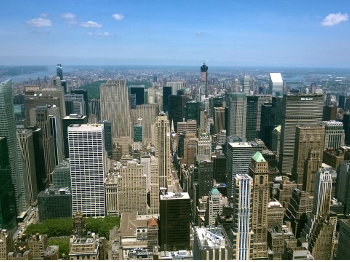 This is the highest proportion of obese adults among all NYC neighborhoods. Finally, 13% of adults in East Harlem have diabetes compared to the NYC average of 9%. Lunch 4 Learning is a campaign for universal free school lunches in New York City, initiated and led by Community Food Advocates. On March 11, 2014 Public Advocate Letitia James held a Press Conference at City Hall with Lunch 4 Learning staff and supporters, in which she announced her support for universal free school meals. Public Advocate James urged Mayor DeBlasio to implement universal free meals immediately to remove the distinction between paying and free and reduced price customers, and thus the stigma that deters many youngsters from participating, especially as they reach the socially sensitive middle and high school years. She pointed out that most NYC public school students who do not qualify for Free or Reduced Price meals are not rich; their families, too, are struggling to make ends meet. Rochester, Buffalo, Syracuse, Poughkeepsie, and Hempstead have all used a new federal option to provide free meals to all their students. 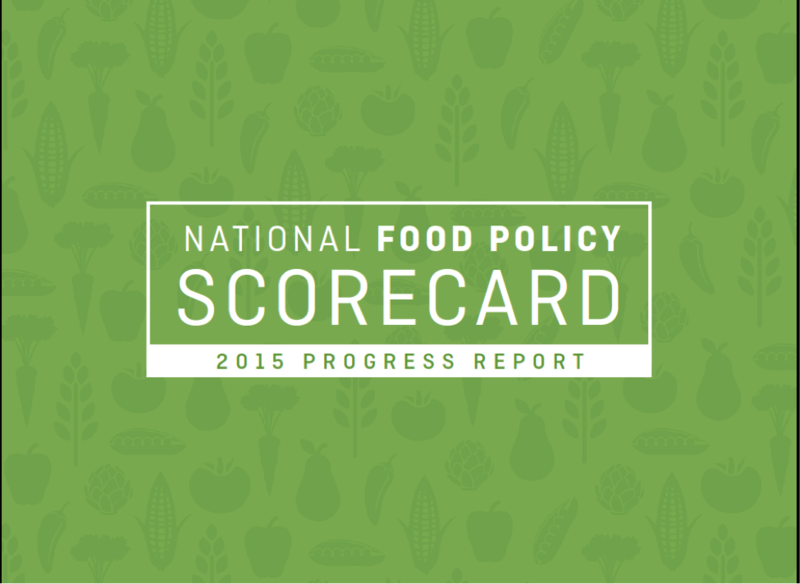 Participation in the school lunch program is low—but not for a lack of need. —> 75% of NYC students are eligible for free or reduced price school lunches, which means that their annual family income is less than $36,000 for family of three, but only 530,000 of these actually participate. Students eating school lunch: 81% in elementary, 61% in middle school, and 38% in high school. 250,000 of the students who are eligible for free meals do not participate. NYC schools that provide free school lunch to all students through a federal incentive program called “Provision 2” had significant increases in the number of students eating, especially in middle and high schools. This proves true in other places that have universal free school lunch. Over time, at least an additional 120,000 children will eat school lunch each day. A 20% increase in participation would bring in an additional $59 million in federal and state funds and require an additional investment of $20 million in NYC funds, or $20/student per year. —> This $20 million represents .0025% of the City’s current $8 billion investment in the NYC Department of Education budget. For every 10% increase in participation, the equivalent of 500 SchoolFood© jobs are created and local economic activity is increased. Each year, New York City governments provides more than 270 million meals and snacks in city agencies such as schools, hospitals, child care centers, senior centers and jails. Schools account for 66% of these meals and snacks. What some have called New York City’s “public plate” is a vital but understudied part of New York City’s food system. In a forthcoming report, the New York City Food Policy Center will profile this public plate and suggest strategies for strengthening its ability to improve the nutrition of New York City’s most vulnerable populations. Ten NYC agencies provide meals to New Yorkers. They are listed below in order of the number of meals and snacks served annually, from the largest to the smallest, based on the 2013 Food Metrics Report. Like so many other parts of the world, New York City is in the midst of an epidemic of diet-related diseases. – More than 1.3 million New York City residents, including one in five children and one in ten seniors(over the age of 60), live in households that lack sufficient food. – In the last five years, the number of city residents experiencing food insecurity has increased by more than 200,000. In New York State, the number of people experiencing food insecurity has increased by 40% since 2000-2002.